The health benefits of hot tubs and spas have been recognized for thousands of years. In fact, the word spa is taken from the Roman words “salus per aquam”, which means literally “health from water”. Certainly, the Romans were well aware of the health benefits of soaking and relaxing in a hot bath. It was an important part – and ritual – of their lives. Today, these health benefits are possibly more important than ever. Let’s face it, we all lead incredibly stressful lives. And with the amount of stress we put on our bodies, more and more of us are finding that our health is beginning to suffer. What better way, then, to help ease those health problems – as well as the everyday stresses and aching muscles – than relaxing in your very own hot tub? The combination of soaking in hot water and being massaged by water jets is the ideal way to help you overcome your health and stress problems. Until recently, owning your own hot tub was beyond the reach of most people, as they cost many thousands of dollars. The alternative was to visit a health spa, but even that cost a serious amount of money if you wanted to go regularly. More recently, however, with the introduction of inflatable hot tubs, having your very own healing spa has become affordable for everyone. Inflatable hot tubs – also known as portable hot tubs, blow up hot tubs, and inflatable spas – cost as little as $300, making it possible for many more people to enjoy the huge healing benefits they provide. There are three incredibly powerful physical benefits of hot tubs – both the rigid and the inflatable kind. When you relax in the hot water in your hot tub, several physical processes take place. Firstly, as your body warms up, your blood warms up as well. This causes your blood vessels to dilate, which in turn increases your circulation. As a result, your blood pressure is reduced, often in as little as 20 minutes. Additionally, the hot water also causes your muscles to relax, as the heat from the water is carried deep into your muscle fibers. Unlike a bath, a hot tub has an internal heating system. Therefore it can maintain a hot water temperature indefinitely. So while you are soaking in your hot tub, your blood is continually warmed, and returns deep within your body, delivering therapeutic heat where other treatments do not reach. Because an inflatable hot tub – in fact any hot tub or spa – does heat up your body, it is vital that you don’t let children who are too young use the hot tub. As a baseline, you should never let any child under 5 into a hot tub, even for a few minutes. Please read our article on Keeping Children Safe In Your Inflatable Hot Tub for more advice. Consider for a moment just how much stress we put on our body simply by walking and sitting in our daily lives. No matter what job we do, or what our daily routine is, we put a lot of weight and stress on our joints. Think of our feet and ankles, which support most of our body’s weight all day long. Meanwhile, our other joints are in constant use and motion – our knees, elbows, wrists, for example. Then there’s our back, which not only has its own tasks to do, bending and twisting throughout the day, but it also supports our body as it deals with all those other stresses. 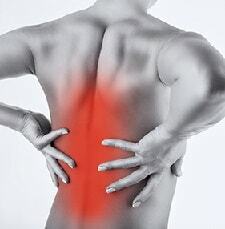 It’s no wonder that so many people suffer from some sort of back pain. Relaxing in your hot tub, letting your limbs and body float in the warm water, relieves joint stress by reducing your weight by up to 90%. This immediately reduces the strain on your joints and muscles, giving them a little down time from the daily grind, and helping them recover. The question a lot of people ask about inflatable hot tubs is ‘How good are the water jets?’ And the answer is ‘Really good’. Even in the budget models, which cost only several hundred dollars, the bubble air jets, as they are called, produce a powerful massage which offers improvements to your health and relaxation. The benefits of receiving a massage from the water jets in your hot tub are immense. They soothe away tension and anxiety, relieve pain in your muscles and joints, and help you de-stress from the daily grind, giving you a total full-body massage. As you can read in our guide How To Lose Weight In An Inflatable Hot Tub , you’ll see that de-stressing is a key part of losing weight as part of a weight loss program. While those are the general health benefits of hot tubs, there are more specific health problems that can be greatly helped by using a hot tub. If this is an area you, or someone you know, would be interested in and benefit from, we have an article which provides more information: How An Inflatable Hot Tub Can Help With Type 2 Diabetes (opens in a new tab). Joint inflammation caused by arthritis currently affects around 1 in 6 people in the USA. This painful and debilitating condition results in swelling, pain and stiffness in the joints, resulting in loss of joint movement and function – and, of course, a loss of quality of life. 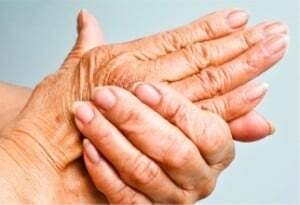 There are many treatments that the health profession recommend to ease the effects of arthritis, including heat therapy, massage, and keeping the joints moving. 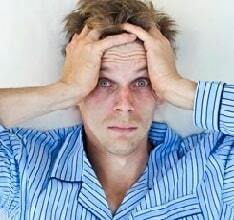 It is estimated that more than 130 million Americans regularly suffer from sleep disorders such as insomnia. Sleep disorders cause health problems, including feeling nervous, groggy and depressed, and it can also cause erratic mood swings. Research into solving sleep disorders have found that a drop in body temperature can help a person drift off into a relaxing and sound sleep. By taking a 15-minute soak in a hot tub, about 90 minutes before you go to bed, your body temperature is raised in the tub. It then gently drops over the following 90 minutes, enabling you to have a better night’s sleep. One major advantage of relaxing in a hot tub before going to bed is that the sleep occurs naturally. So when you wake up, you don’t have the grogginess associated with taking prescription sleeping medicines and tablets. As you can see, there are many physical health benefit of using a hot tub. We also enjoy the emotional and psychological benefits. Just leaning back in the bubbling hot water, relaxing, switching off from the day’s stresses, does wonders for your inner well-being and your mind. And, as we mentioned earlier, with the introduction of inflatable hot tubs, having your very own hot tub – and enjoying these benefits – is now a very real option for everyone. We have checked out a lot of inflatable hot tubs currently on offer and the many benefits they provide. That’s why we created this website, to offer advice, help, and in-depth reviews, giving you all the information you need. Keep in mind that an important part of enjoying the health benefits of your inflatable hot tub is keeping the water fresh, clean, and hygienic. We have a popular article on this subject which you can read here: How To Keep The Water Clean In Your Inflatable Hot Tub. Whether you decide to start the day with a soak and invigorating massage in your tub, or whether you finish the day off with a long relaxing soak and gentle massage, you’ll certainly enjoy the improvement in your health, your well-being, and your improved quality of life. As always, if you have any concerns or questions about using an inflatable hot tub to alleviate a specific medical condition, please consult your medical practitioner first. Thanks for reading!